One of the little deals with the DNR and its ability to purchase land, is that it is limited. Limited to 4,650,000 acres in fact, with some exceptions, and not more than 3,910,000 acres north of a line between Mason and Arenac counties, to be exact. This means that the amount of land that is available for private use and development will not continue to shrink indefinitely. It means that the revenues from oil and gas lease rights are not forever used to remove land from local tax rolls. It also means that overzealous misplaced urban planner graduates from the MSU school of property theft have one less tool in their belt of American dream destruction. in 2012 Michigan Governor Rick Snyder, signed a common sense piece of legislation (huh.. how bout that) that put a check on the runaway property acquisition of the DNR, and the way in which it distorts property values and makes desirable land unavailable for private use. The ONLY 5 Republicans Voting against the bill at that time were Jon Bumstead, (R) Holly Hughes, (R) Peter Pettalia, (R) Bruce Rendon, (R) and Wayne Schmidt, (R). They and their Democrat property rights thieving counterparts were sent packing, as the bad ol Republican bullies put that limit on the quite literal GROWTH of government through land purchases. Surprise, surprise, now they are back. And they brought friends. And they seem to think Michigan has too much private property available to it. The most desirable land in the dreams of potential land owners, is that which surrounds bodies of water, along rivers, and large acreage suitable for hunting and private camps. Of course, much of that land is in the Northern area that is now limited by the 2012 PA 240. Four of the five ‘Republicans’ who voted against that bill, are now scheming to give the DNR its land buying power back. Three of them from the great white North. Gotta stop those flatlanders from emigrating North, right? In all seriousness, Michigan has a great number of state owned lands already, and infinite expansion made possible by a seemingly unending royalties fund threatens the dream of land ownership for Michiganians who might wish to challenge themselves in that way. Already, government and public ownership of lands in the UP for example, is roughly 75%, leaving only a quarter available for settlement. Settlement of course, is the problem. Schmidt, et al, are being supported by a cocktail of the Democrats, lefties, and extreme environmental advocacy groups. In fact, Michigan United Conservation Clubs and the Michigan League of Conservation are hosting and toasting Schmidt for his efforts in the eventual shrinking of available private property. 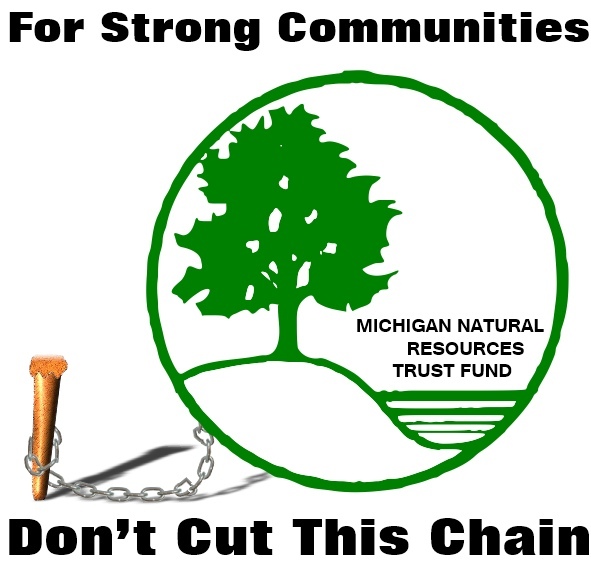 Representative Wayne Schmidt (R-Traverse City), Michigan United Conservation Clubs and the Michigan League of Conservation Voters are hosting a public land town hall meeting on Monday, February 17, 2014 at 7:00pm at the Acme Township Hall. Guest speakers will include local experts on public lands and regional tourism, including Glen Chown, founding executive director of the Grand Traverse Regional Land Conservancy. Rep. Schmidt introduced HB 5210, which would approve the Department of Natural Resources’ strategic land plan and lift the land cap that was instituted by PA 240 of 2012. The Land Cap Bill, as it was called, required the DNR to create a strategic land plan that had to be approved by the Legislature for the land cap to be lifted. The DNR has completed that plan, available here, and MUCC supports lifting the land cap through HB 5210. Public land is critical to public hunting, fishing and trapping access, and the DNR’s plan lays out strategies to guide how it manages those goals. It is still working on completing more specific criteria for it to use in acquiring and selling public land. What is not being said here, is that hunting hardly relies on state owned lands to be available. Tourist hunting happens on both private AND public lands, and the internet has made it possible for property owners to recover significant expenses of maintenance through hunting leases. And the question must be asked if the growth of couch sitting texting mush heads really demands more lands to be available anyhow. Frankly, this is a crappy retreat in what WAS sound public policy. Government already grows its spending disproportionate to our ability to support it. The restriction to its property acquisitions in 2012 could actually lead to better management of the parks already owned by the state. Adding to restrictions on private property ownership is the eventual reduction of operating funds for schools and local governments. Schmidt already faces a formidable challenge in the 37th District State Senate race for all of his other efforts in expanding government and adding to the cost of living in Michigan. A recent poll had him trailing 41-17%, suggesting a bloodbath if the contest were to be held today. It comes as no surprise that he will attempt to draw votes into the primary contest by engaging those who would normally make their considerations on the other side of the ticket. I'm working on a constitutional amendment that would move much of the money in this trust fund to pay for road improvement. now and in the future. I was wondering when someone would do something sensible like that. Keep up the great work Tom! PA 240 of 2012 plainly required the DNR to create a public land strategy that, when completed and approved by the Legislature, would remove the land cap. The DNR has done that; all this bill does is complete the legislature's end of PA 240, which is to vote on approving the land plan, and, if approved, remove the land cap. Gosh, if that was ALL it did, I suppose Wayne, Peter, Bruce, etc., would have been for it at that time. 240 was a great way to stop the out of control 'conservation' efforts which have been systematically making it more difficult to acquire land affordably. I'll be at the event. I have a couple of questions to ask. When we drove through NY State last week we saw farm after farm dying of neglect, with dilapidated barns, un-mended fences and empty houses, and supposed it was due to $4.65 diesel fuel and out of control state taxes. The small farms and ranches around the country are dying as all government assistance is eaten up by corporate farmers and food stamps. As you drive through southern California you see miles and miles of grotesque wind farms, the same in Texas, Illinois. Nevada has acres of land carpeted in solar panels. The government management of land and resources did not make this country great. North Dakota and the other Plain States are booming, because of government management? No, but private property owners and private oil drilling companies. The reason America has come this far and become so great, is freedom and property rights. Not greatness through government planners and bureaucracy. Once you drive this country for a living you understand there is much feral property from one government agency or another. Not managed, neglected, over grown awaiting the cleansing flames of a forest fire. What most bureaucrats fail to get is what a smart but corrupt politician once said. "It's easier to pick a tourist, than it is to pick a bail of cotton." w.j. Clinton. For our state to stay alive and thrive we need more freedom not less. So you fight on Tom, you're a Patriot and a Freedom Fighter as surely as any with a tri-cornered hat and musket.